Both Biedron and her husband, Stephen Milton, work on particle accelerators and advanced lasers throughout the world. Their spare time has been spent rehabbing the home at 10910 S. Prospect Ave. in Morgan Park – which offers more immediate satisfaction. 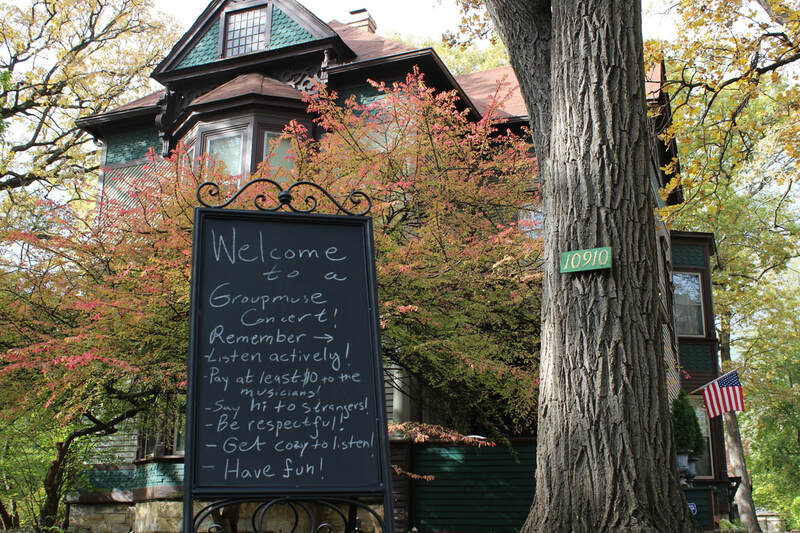 The sprawling house that once belonged to the late Beverly/Morgan Park artist Jack Simmerling will be filled with chamber music at 6:30 p.m. Friday courtesy of four classical musicians from Groupmuse – a website that organizes such performances in homes nationwide. There’s room for 70 people to attend the performance called “Celebration of Autumn.” It costs $3 to reserve a spot, and 35 people had already committed to attend the live show as of Wednesday. Guests are then required to chip in a minimum of $10 for a pair of violinists, as well as the musician playing the viola and another playing the cello. And it’s encouraged to pay a bit more for the performance for those so inclined. Members of the Beverly Area Arts Alliance have also pledged to bring artwork to the event. Biedron is excited to pair the chamber music with art, particularly after participating in the Beverly Art Walk on Oct. 7. Biedron and Milton actually live near 96th Street and Longwood Drive across from Beverly’s Ridge Park. The couple purchased their house in 2002 spent eight years completing a full rehab there. In 2014, they turned their attention to the Queen Anne Victorian just east of the 111th Street Metra depot in Morgan Park. It was built for grain broker John E. Ingersoll and his wife, Harriet Ingersoll, from 1874 and 1877. Isaac and Gertrude Blackwelder later lived in the six-bedroom home with 3.5 baths. 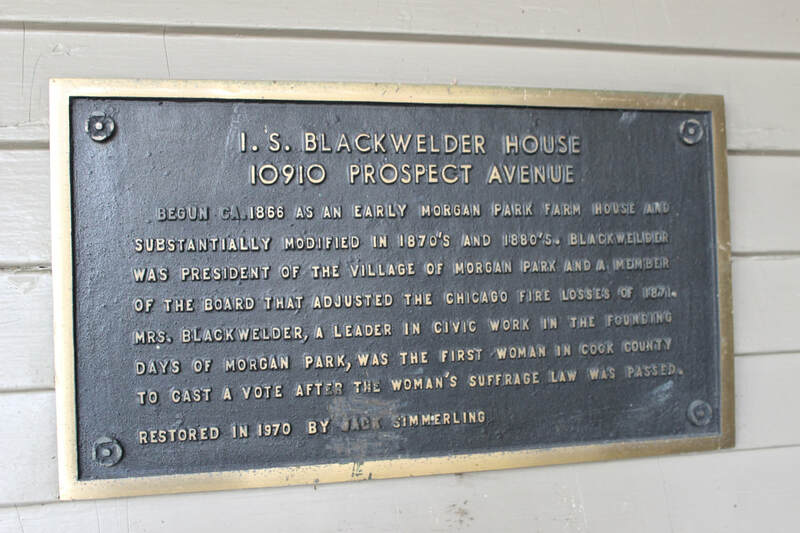 Isaac Blackwelder was the president of the Village of Morgan Park before it was annexed into the city in 1914. His wife, Gertrude, was the first woman to cast a vote in Cook County. For the past 18 months, the scientists have been renting out their “dollhouse” for intimate weddings, baby showers and other family events. Biedron hopes to further showcase the building’s potential by hosting the chamber musicians. She has similarly used the space to host cooking demonstrations, a murder mystery dinner, a discussion on innovations in cancer treatment and other happenings. She hopes these events will drive home the idea that her historic home offers a unique event space on the South Side. Biedron and Milton also have a home in Colorado. Milton has been working at the Los Alamos National Laboratory in New Mexico since June 1, and Biedron serves as a research professor in the University of New Mexico’s Department of Electrical and Computer Engineering. Other Italian music will also fill the house throughout the evening, bringing a European flare to Beverly and Morgan Park’s Ridge Historic District. And to further carry the theme, the hosts have a special Tuscan dessert planned for all attendees. Besides that, guests are encouraged to bring their own drinks to the in-house concert. Thus, all attendees must be 21 or older. Biedron is already considering hosting another Groupmuse concert next year. She also plans to reach out to several opera singers to offer a similar experience in the coming months. She hopes others in the neighborhood consider hosting events with Groupmuse too or going out on their own to plan such parties, particularly after being part the event on Friday evening. “I want these types of events to be about education and building community. Put down the smart phone or whatever device blows your skirt up and get together instead,” she said. For more information about the Ingersoll-Blackwelder House, visit the host’s website. And to sign up for the Groupmuse event, check out the online reservations page. Howard Ludwig is a media specialist in Chicago. He can be reached at howardaludwig@yahoo.com. Beverly scientists Sandra Biedron and Stephen Milton will host four chamber musicians at 6:30 p.m. Friday at the Ingersoll-Blackwelder House in Beverly/Morgan Park. The musicians come courtesy of Groupmuse, a website designed to host such intimate parties. 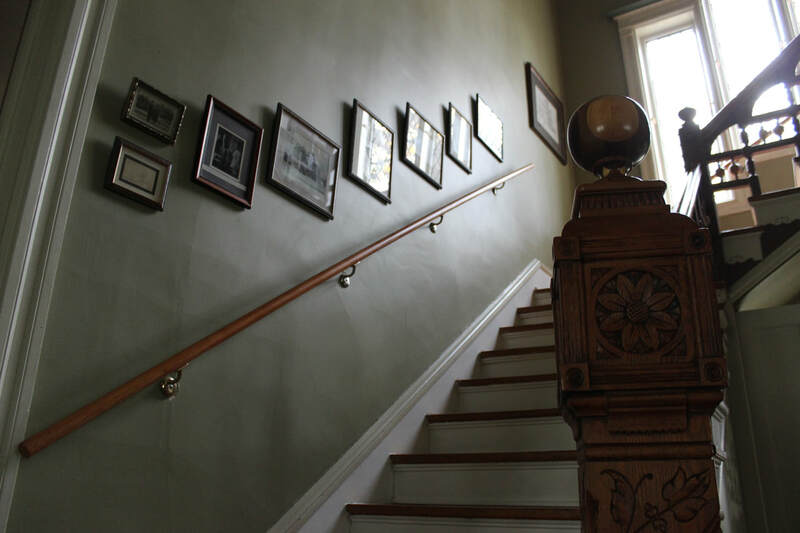 The banister of the Ingersoll-Blackwelder House in Beverly/Morgan Park offers a glimpse of the finer details found throughout the historic home. Scientists Sandra Bierdon and Stephen Milton have been renting the house to guests for special events for the past 18 months. A plaque outside of the entrance of the Ingersoll-Blackwelder House at 10910 Prospect Ave. in Morgan Park explains the history of the home. Besides its original owners, the home was also owned by artist Jack Simmerling. He raised his family in the South Side neighborhood and is synonymous with watercolor paintings and drawings of buildings both locally and elsewhere in Chicago. Four chairs set up in the parlor or the Ingersoll-Blackwelder House in Beverly/Morgan Park will be occupied by chamber musicians at 6:30 p.m. Friday. 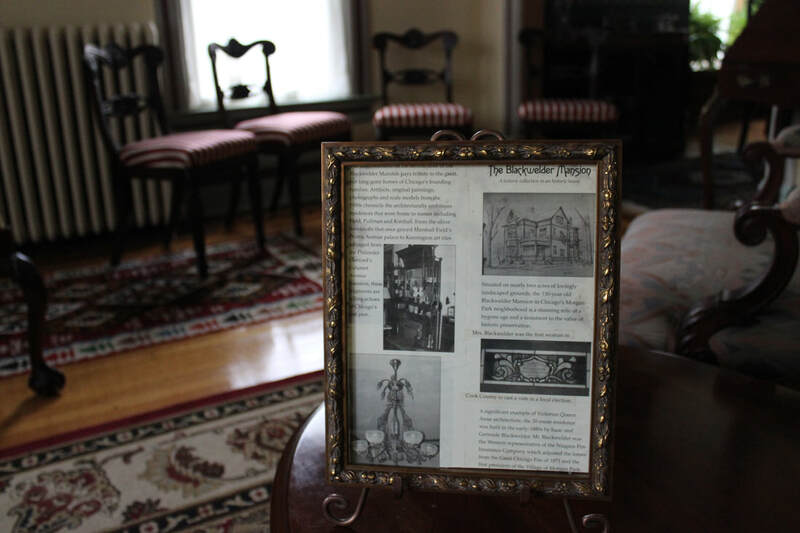 Owners of the historic home hope the event will showcase the 140-year-old house as a venue for family events, such as weddings, baby showers and similar gatherings.